Photography is fun when you experiment. This shot here of the flipped shadows is an experiment. I always liked shots like these but never tried it out. 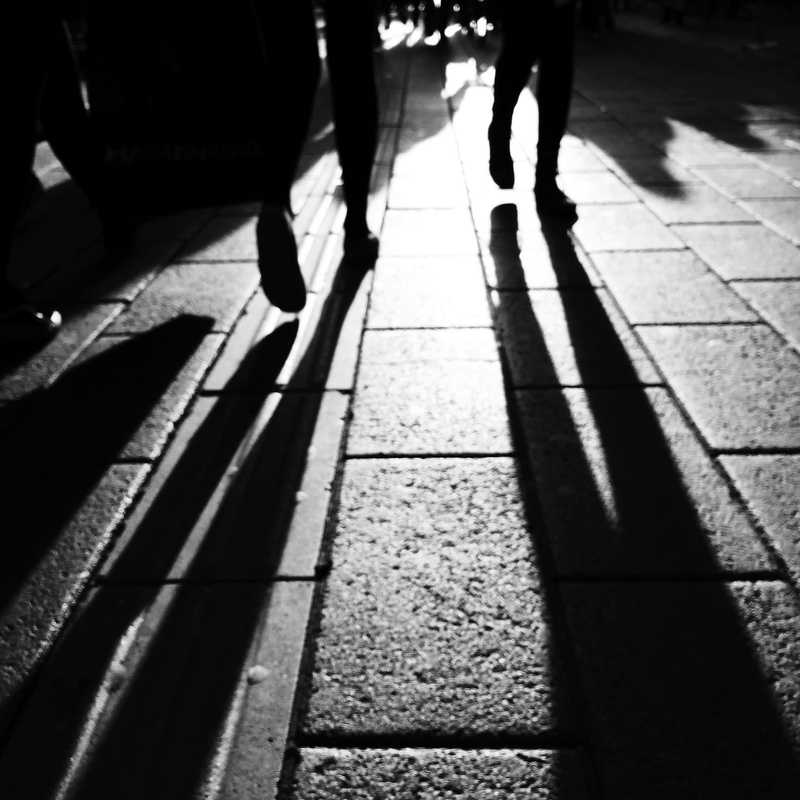 Standing at the intersection on the main shopping street in Copenhagen with the sun shining in your face and looking down to avoid and noticing these long shadows of the pedestrians waiting on the other side is a signal. Get that shot. I have to say that there are some whose shots like these are much better and if you want to see good examples of these here are two of the best: Michael Kistler and Thomas Toft. Not to be unfair to the iPhone, I got a few shots shadows with that also. But today I won’t post those; instead here are two people trying to evade their shadows. 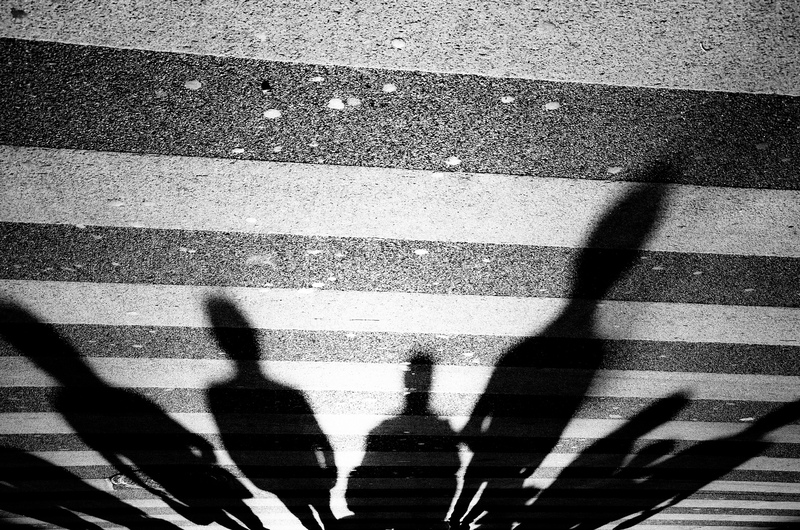 This entry was posted in Daily posts to Flickr, iPhone, photograph posts, Street Photography and tagged abstract photography, art, black and white photography, Brendan Ó Sé, Copenhagen, Copenhagen Street Photography, iPhone, iphoneography, love, Michael Kistler, mobile photography, people, Shadows, street photography, Thomas Toft, travel, writing.